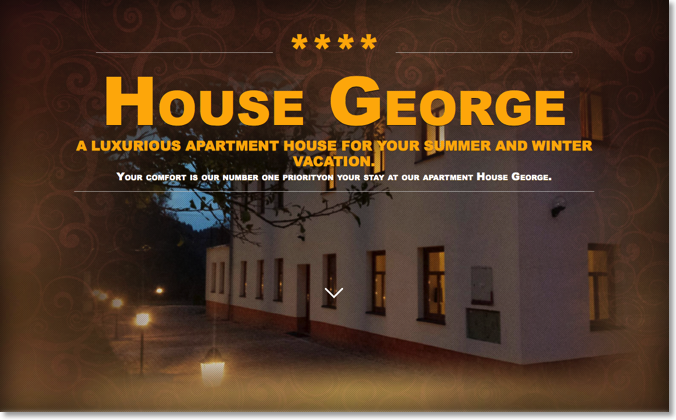 House George offers you accomodation in a beautiful village called "Prysk" in "Luzicke hory". 5 apartments are available, a well-equipped breakfast room, a garden with a grill and outside furniture, a little pond with drinkable water. You can use complimentary a large indoor whirlpool bathtub to relax. Parking for guests is right at the apartments on a private, secure location. You can only rent the whole house, not a single apartment, so it's best suited for large groups or several families. Price from 10,20 EUR / person / day.